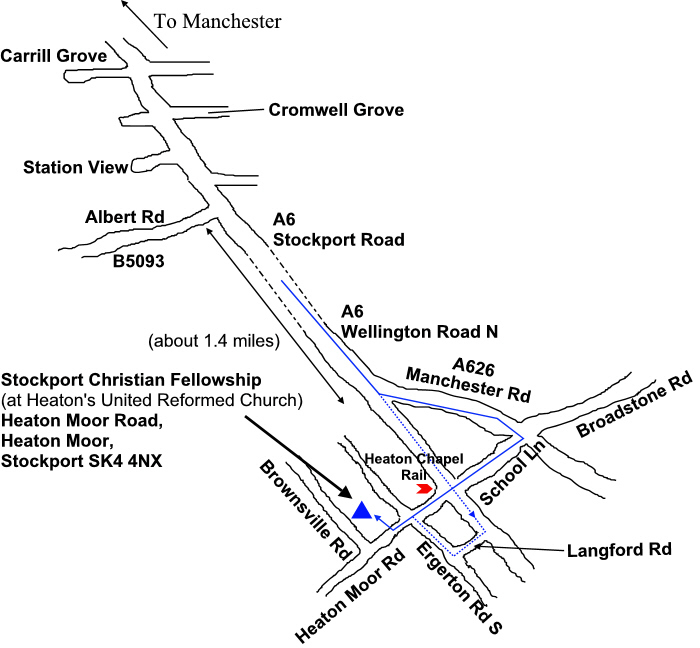 Situated next to Heaton Moor Medical Center. Heaton Chapel Railway Station is about 100m from the church. There are regular 192 bus services from Manchester Picadilly Bus Station.